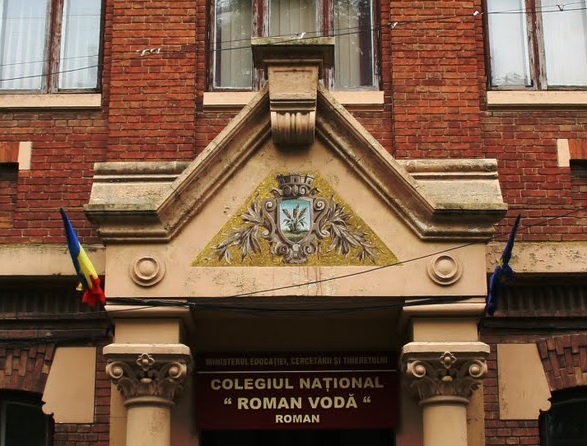 The Roman Voda National College is a primary and high school in the city of Roman. 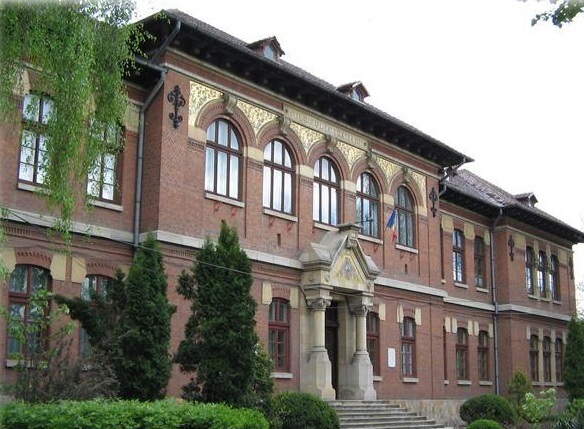 It was established in 1872 and it moved into its current location in 1899. Salviati decorated the facade, along with those of two other high schools in the Romanian cities of Pitesti and Focsani with mosaic spandrels featuring a floral motif and heraldry in the gable above the entrance. Barr, Sheldon. 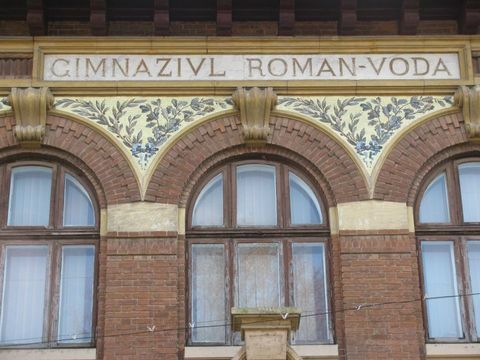 Ventian Glass Mosaics: 1860-1917. London: Antique Collectors' Club, 2008. 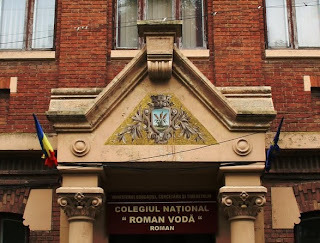 138.